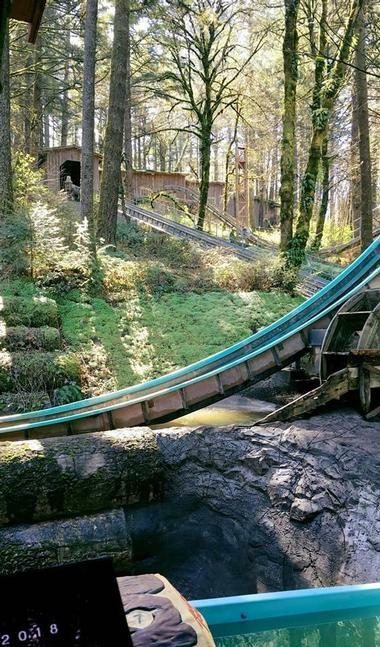 Oregon is a fun state to be in during the summer months; in addition to all its natural wonders and attractions, there are also several amusement parks suitable for both children and adults. Visitors can head to the Enchanted Forest for a day spent with fairytale characters, such as Mother Goose and Alice in Wonderland, or even catch a musical comedy in their theater. If you’re looking for something more thrilling, ride the Oregon sand dunes with Sandland Adventures and come across impressive sand shifting and various wildlife. 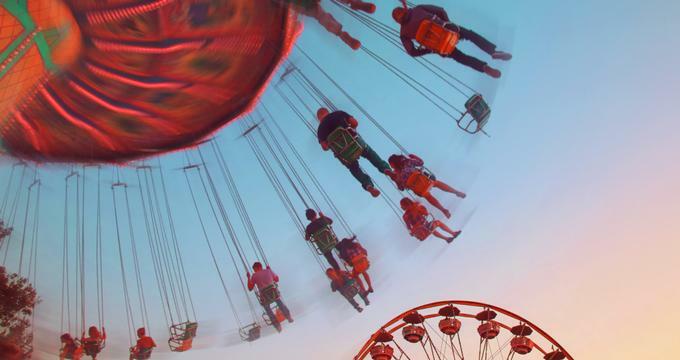 No matter what you decide, the following amusement parks are wonderful choices. Family owned and operated since 1971, the Enchanted Forest amusement park is a great place to spend the day, especially if you have younger kids in tow. The park is divided into various districts, such as Storybook Lane, English Village, the Tofteville Mining Town, and much more. While there, visitors will be able to see attractions inspired by Grimms’ Fairy Tales, view a lighted fountain show in English Village, or die on the Ice Mountain Bobsleds roller coaster and the Big Timber Log Ride. During the summer, Enchanted Forest hosts a comedy theater that puts on original musicals founded on classic fairy tales. One of the oldest operating amusement parks in the U.S. and often called the “Coney Island of the Northwest,” Oaks Amusement Park has been providing family-friendly fun since 1905. Visitors there will find an array of rides, seasonal attractions, picnic grounds, and much more. You will also be able to see the historic Herschell-Spillman Noah’s Ark wooden carousel, which was constructed in 1912. Adrenaline Peak is a more popular option for those who want a thrilling ride that will leave them screaming at the top of their lungs. Oaks Amusement Park also has a roller skating rink, mini-golf, and many fun carnival games like the classic balloon darts or Bob’s Fishing Hole. Get ready for a day of fun at the Oregon Dunes National Recreation Area with Sandland Adventures. One of the more unique amusement parks in the state, Sandland lets visitors go on exhilarating dune rides or enjoy a tour of this impressive natural wonder on giant dune buggies. Travel across miles of sand dunes with professional drivers while viewing the endless shifting sand, various wildlife, unique tree islands, and the stunning Siuslaw River. In addition to the rides and tours, you can also have fun splashing around on the park’s bumper boats, playing a round of miniature golf, taking a ride on the Cloverline Railroad, or racing on their Grand Prix style go-kart track. Sun Mountain Fun Center is an indoor/outdoor amusement center that offers visitors a chance to let loose and enjoy a game of bowling, miniature golf, bumper cars, go-karts, billiards, and much more. You can spend hours in the arcade, which has a huge assortment of games, no matter if you enjoy the classics or prefer something more modern. Other popular activities at the center include trying your hand at the batting cages or getting soaked in the water wars park. The center is open from 10:00 a.m. to 10:00 p.m. from Sunday to Thursday, and 10:00 a.m. to 11:00 p.m. on Friday and Saturday.